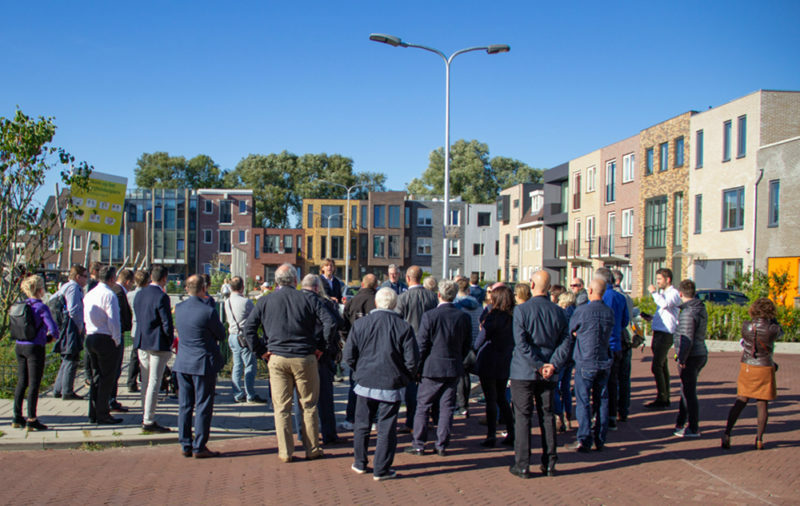 As part of its commitment to share best practice in Custom Build and community-led housing, the Right to Build Task Force recently led a trip to The Netherlands offering first-hand experience of this dynamic sector. Run in association with NaCSBA and sponsor Custom Build Homes, the trip was an opportunity for a range of stakeholders and professionals to experience the breadth of models and variety of routes to owner-commissioned homes. The itinerary was deliberately chosen to demonstrate the viability of the sector for delivering a range of custom options, beyond the traditional stand-alone home. While the UK produces roughly 14,000 Custom and Self-build homes a year, the potential for growth is significant, as Custom and Self Build contributes to around half of all new homes in many European countries. This fact is mirrored by the fact that NaCSBA’s research showed that, as of October 2017, 33,000 people had signed up to the Self Build registers. 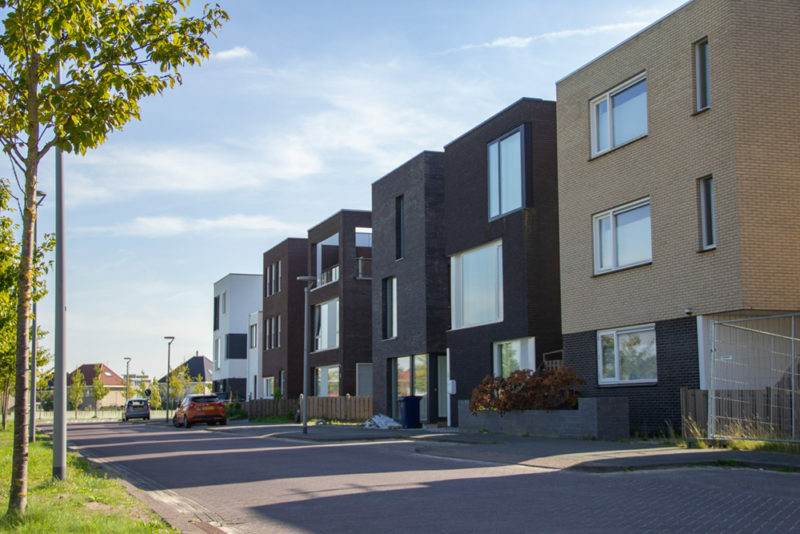 In The Netherlands the market for Custom and Self-build makes up about 15 per cent of total new homes, and national and local government actively support the sector. This has enabled the industry to bring a range of pilot projects to fruition, creating new examples of best practice and examples of developments that are both viable and innovative. Curated for a range of housing, planning or development teams, the trip took in developments including: mixed urban environments, Custom build apartments, community-led housing, floating homes, affordable models and plot shops. Buiksloterham is a unique area in Amsterdam changing from an industrial to a mixed-use urban quarter, with the inclusion of Self Build housing. 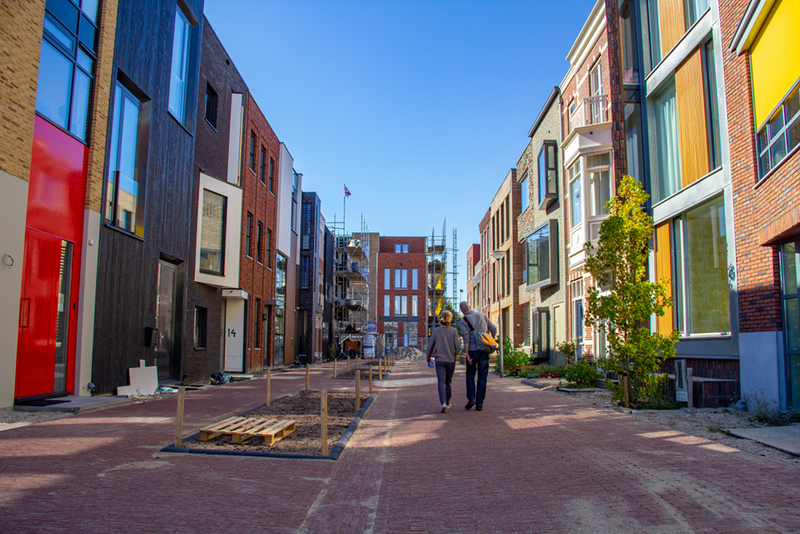 It’s actively supported by Amsterdam City Council to promote a greater diversity of housing development opportunities and place-making. 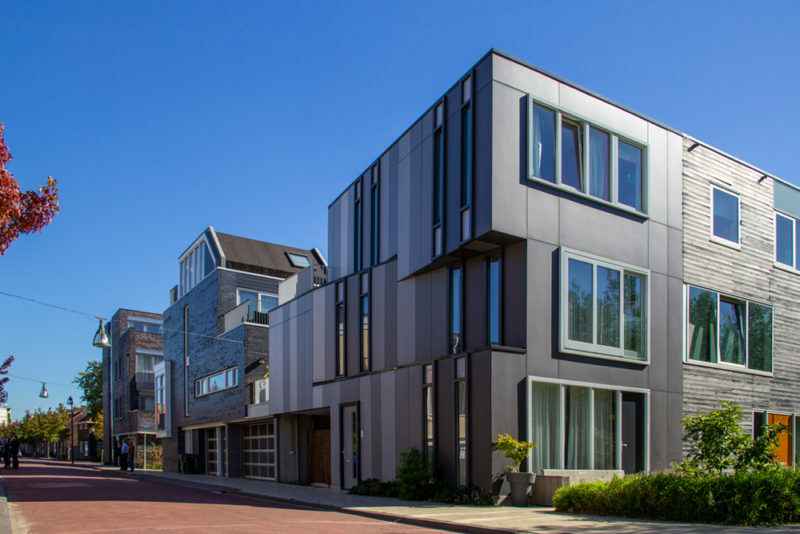 An energy neutral, mixed-use apartment block made up of 32 Custom Build homes for the resident housing co-operative. A new neighbourhood with 46 households and a community centre on 30 ‘floating plots’, the first of which are to be realised by the end of the year. 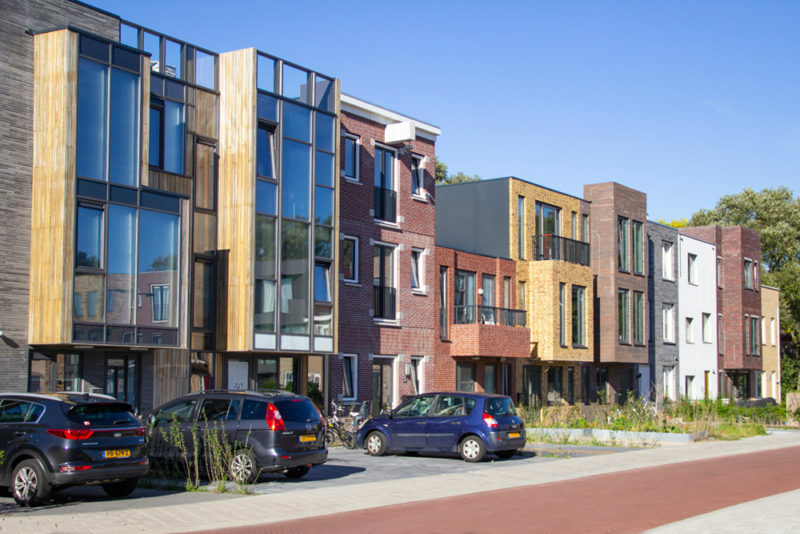 Part of the Municipality of Almere’s broad and complex of self-build developments on reclaimed land, using a zoning plan paired with light-touch design codes. The district consists of 3,400 homes, with 1,500 market-value serviced plots for individual Self Builders, as well as opportunities for shared ownership and affordable rent. 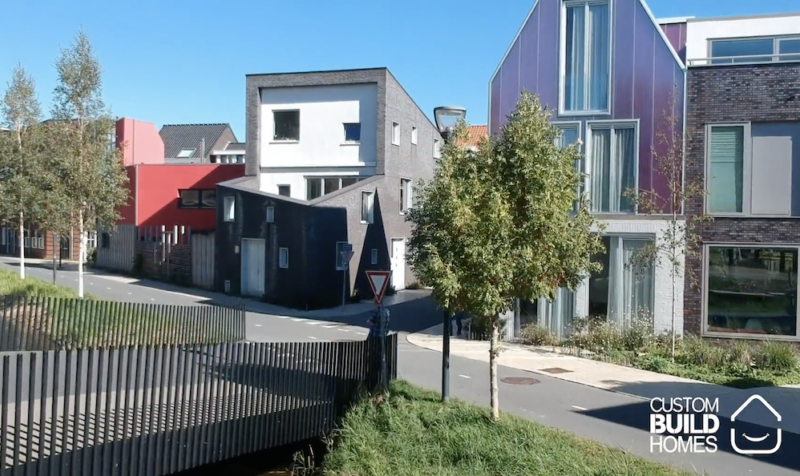 Netherlands 2018 from Custom Build Homes on Vimeo. Sales are administered by the Council through its highly successful ‘Plot Shop’ marketing suite, a system that’s been replicated in England at Graven Hill. The site includes the provision of affordable Self Build homes through the ‘I Build Affordable’ Initiative. This national scheme has supported more than 500 families over the last few years, proving itself as a route to ‘intermediate’ Self Build homes. The Oosterwold Self Build area promotes collaborative organic development without the parcelling of plots. Rather, a simple development framework and a set of basic rules, set out the parameters of the project, offering a bottom-up approach for communities. A compact development of affordable Self Build homes promoted by the City Council, with a mixture of styles. The site includes many examples of ‘Self-refurb’ projects, where older buildings are converted into ‘plots’ for self-refurbishment. This can be a viable route to affordable housing opportunities for local communities. Both The Hague and Amsterdam City Councils have created ‘plot shops’, a one-stop-shop for potential customers of Council-owned plots. 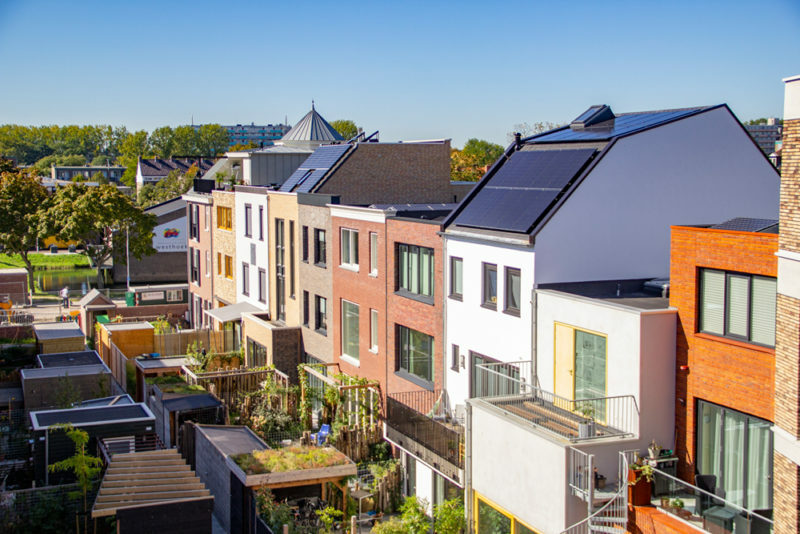 In addition, the tour also took in Nieuw Leiden, De Hoge Vrijheid – a 70-metre tall apartment building with custom build homes, Grachtenhuis Nieuw Delft and its vision for high-density Custom and Self-build housing, as well as urban regeneration around the SpoorZone Railway. The tour was sponsored by Custom Build Homes, a dedicated provider of custom build marketing and sales services to landowners, developers, and local authorities. Custom Build Homes provides Demand Assessments, Comprehensive Funding Plans, and Plot Sales via its Developer Portal and Specialist Plot Agency. Future trips will be publicised on the Right to Build Toolkit and on NaCSBA’s website.